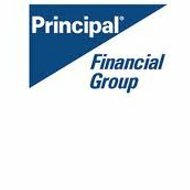 Principal National Health Insurance Company is actually known as Principal Financial Group. Although they do offer varying products, supporting health insurance, they also provide insight on other investments and planning for retirement. Recently, the company celebrated its 125-year anniversary (2004), so you know you will be in good hands that have stood the test of time. To give you a hardened figure of the type of success Principal has had, they currently manage close to 40% of the largest pension funds in the world, and have close to 20 million customers worldwide. Are you looking for health insurance? Please enter your zip code to find the latest packages and health insurance quotes available. Principal’s research department has discovered that over 150 million workable hours are lost each year, due to a dental-related illness. If your company believes that 75% or more of your eligible employees would be interested in dental insurance, Principal will have you covered. As soon as you reach ten covered employees, the individual policyholders can choose the varying range of coverage they would like to pay for. Finally, you may be able to reduce your corporate taxes, if you provide your employees with dental insurance! Did you know that one half of all bankruptcies in the past decade have been due to an unexpected injury, causing disability? Principal has found over its long history as a company, that it is best to have an in-house nursing staff and a host of rehabilitation professionals, to make sure the claims review process goes as smooth as possible, and their members receive the best possible coverage. Overall, Principal offers four different categories of products and services, regarding disability. Benefits go as high as $20,000 and you can still receive those benefits if you should choose to go back to work part-time while recovering from your injuries. In the unlikely event that you should develop a terminal illness, the survivor benefit would be paid out on an accelerated basis. There are other optional features, such as dependent education, which would assist with any costs in putting your kids through college, if you weren’t able to earn the money necessary to assist them on your own, due to an injury. Employers can also purchase voluntary long-term disability insurance for their employees, if they have more than five eligible employees. These policies include 24-hour coverage, meaning they are not only covered for the hours while they are at work. Nearly 30% of persons 20 years of age and up are likely encounter disability before the age of 67. All of the standard features that are available for long-term disability insurance are also available for short-term, including the very important fact that total disability is not required to qualify for benefits. In addition, you can elect to sign up for the optional benefits like maternity coverage and survivor benefits. Principal has held the industry crown in claims management for over 25 years, because they allocate one representative to each claim. Principal makes sure each of its members receives the best possible care, and therefore they will make visits to the home of the disabled, conduct interviews with the employer, and recommend daily activities to improve their condition. In the year 2005, Principal helped 60% of all claimants return to their workplace. They have a dedicated team that analyzes various aspects of jobs, and provides a timetable and appropriate measures to take to ensure the patient will be able to return to the workplace. Did you know that over 60% of Americans currently require or should be wearing glasses or contact lenses? If you choose Principal to cover your vision care needs, you will pay no deductibles, you won’t encounter any co-payments when you visit your physician, and you will not be limited to a network of preferred caretakers. If you are an employer thinking of offering your employees vision care, you need to have 25% of your workforce set up or, more than ten employees. Over half of American citizens do not have proper life insurance benefits. At the very minimum, Principal wants to give its members the option to stay covered, even if they are terminated by their place of employment. They can convert their policy into an individual policy, so their spouse and child will continue to receive the coverage, if elected. Principal also offers accidental death and dismemberment coverage, as well as dependent life insurance, to cover the loss of a spouse or children, for an additional fee. If you are looking for health insurance quotes in your area, please enter your zip code now and find out more!